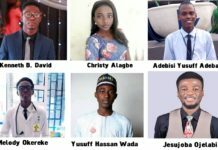 The Pharmaceutical Society of Nigeria (PSN) has elected new national executives to pilot the affairs of the Society. 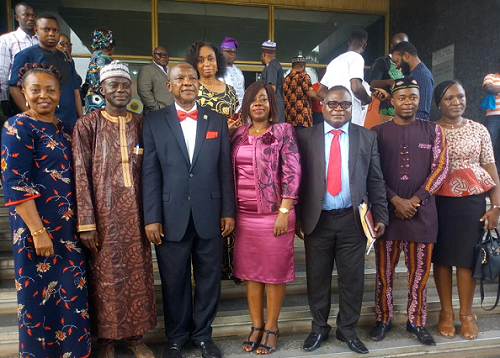 The new executives were elected at the 91st Annual National Conference of the Society, held at the International Conference Centre, Ibadan, Oyo State, last Friday. Some of the new executives of PSN. The new national executive officers are Pharm. (Mazi) Sam Ohuabunwa, president; Pharm. Munir Elelu, deputy president, North; Pharm. (Dr) Ejiro Foyibo, deputy president, South; Pharm. Emeka Duru, national secretary and Pharm. Odudu Akpaete, assistant national secretary. The new PSN president, Pharm. 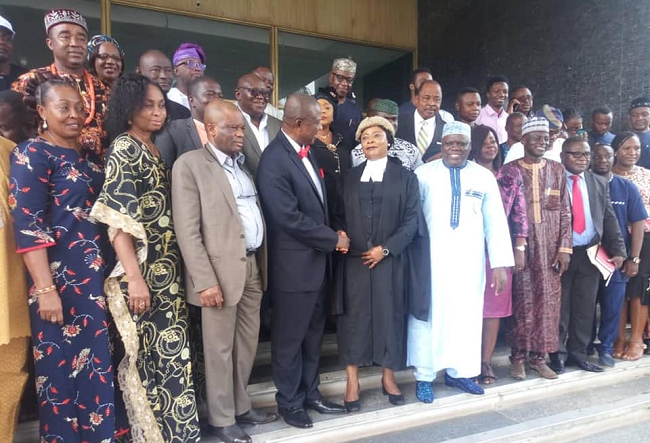 (Mazi) Sam Ohuabunwa, exchanging an handshake with the judge (middle) flanked by other executives of PSN, after the swearing in ceremony. The other officials are Pharm. (Mrs) Adefolake Adeniyi, national treasurer; Pharm. (Mrs) Chinyere A. Osakwe, national financial secretary; Pharm. Ijeoma Okey-Ewurum, national publicity secretary; Pharm. Oluwatosin Adeyemi, editor in chief; Pharm. (Mrs) Idubor Tawa, internal auditor; Pharm. Alkali Albert Kelong, unofficial member; Pharm. Udeorah Egbuna, unofficial member and Pharm. 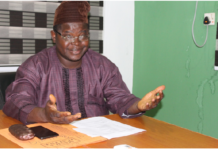 Ahmed Yakasai, immediate past president.